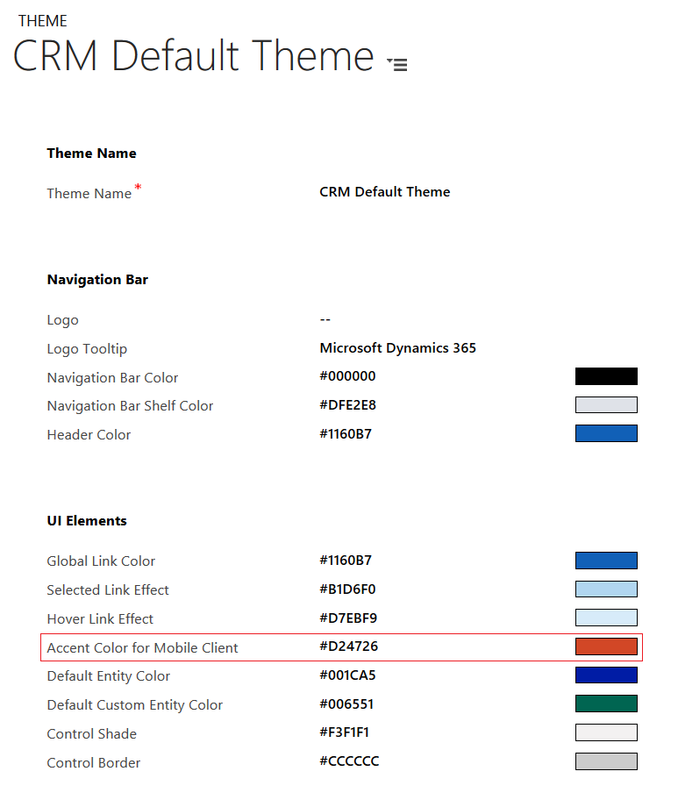 Dynamics CRM 2015 introduced a new feature called “Themes”. This feature allowed the customisation of User Interface to a certain degree without code in a supported way. 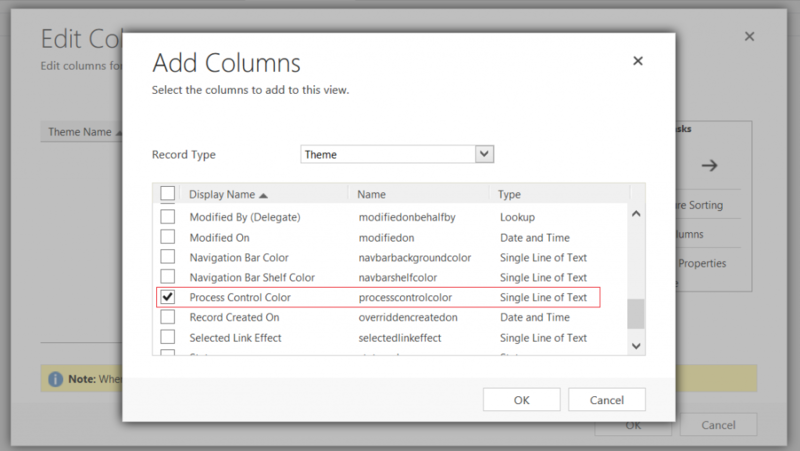 In this article, I will pay special attention to Process Control Color field. 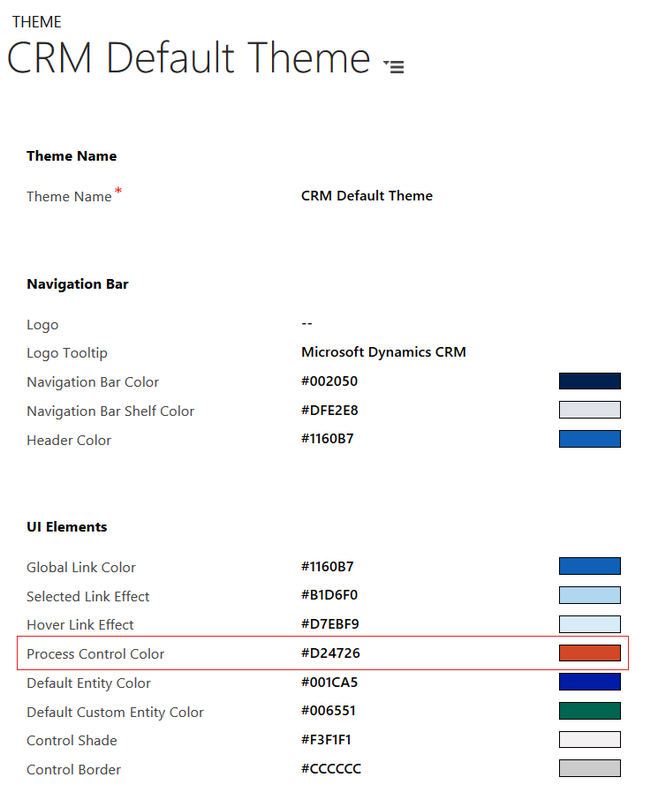 In Dynamics CRM 2015 and 2016, Process Control Color existed. It was use to change the colour of the Process Control. But in Dynamics 365, this field missing. When looking at Advanced Find, we can see the field Process Control Color (processcontrolcolor). Instead of Process Control Color, we now have Accent Color for Mobile Client. When looking at Advanced Find, we can see the field Accent Color for Mobile Client (processcontrolcolor). 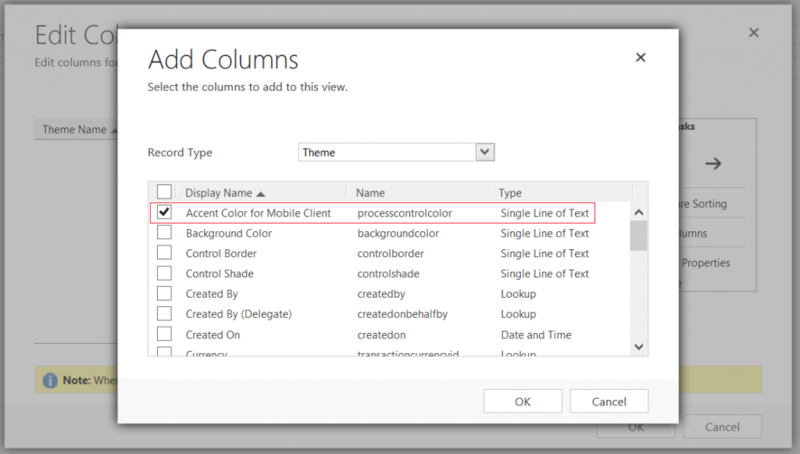 Hang on a second.. It’s the same field (processcontrolcolor) now renamed to Accent Color for Mobile Client! Changing this field has no effect on Process Control anymore. The only documentation I can find which mentions this field is below. Even this article’s Description says it is used to “Choose the primary color for process controls”. The existing processcontrolcolor field is now has a new meaning and can’t be used to control the Process Control’s colour anymore. It is now used to change the Accent Color for Mobile Client.